All manure is scraped into a flume that the sand laden waste out of the barn. Before reaching the storage lagoons, the manure passes over a sand-settling lane where most of the sand is recaptured. It is stacked and allowed to drain and is ultimately reused in the cow’s beds. What remains is held in a 3 stage lagoon system. 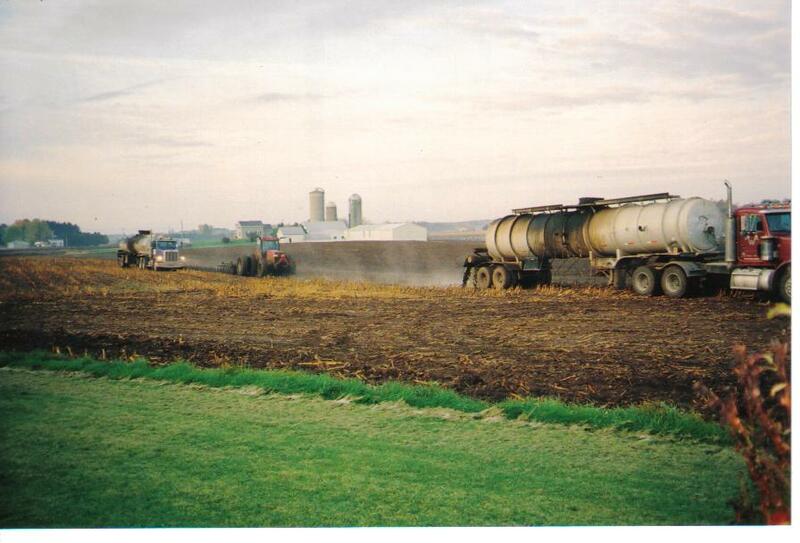 Each year in the fall, manure is applied to the 1400 acres of land owned and rented by the dairy. Manure application rates are determined by taking into consideration the nutrient content of the manure, the results of soil tests and the needs of the following year’s crop. A certified crop consultant is hired to develop the farms nutrient management plan. 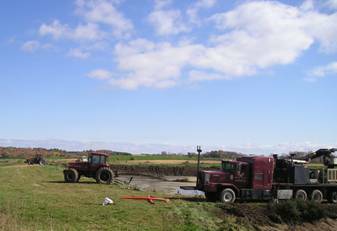 For fields in close proximity to the farm a pump sends the manure to the field via a hose which is attached to the back of a tractor and an injection apparatus places the material directly in the ground. For fields further away, semi-tankers are used to haul the manure and a disc on a tractor is used to incorporate the materiel into the ground. These measures are done to reduce odor and prevent the material from running off the field.